We are thrilled to share a raving review about our Android Sync products. Marc Saltzman, writer for USATODAY.com, stumbled upon CompanionLink when his frustration with other Android to Outlook sync solutions came to a peak. He found other products to sync incomplete Outlook data or have complicated setups. Then, he found our Android Outlook app, DejaOffice. Marc hits squarely on a sensitive topic for people who used legacy phones and PDAs like BlackBerry and Palm. Traditionally, Outlook sync was an afterthought for mobile users because Outlook integration was bundled with their device purchase. Palm shipped a CD with Outlook sync software. BlackBerry included their reliable Desktop Software companion with every device. Android buyers weren’t so lucky. During Android’s toddler years, no manufacturer bundled software for Outlook integration. Samsung, for example, has since developed a tool called Kies to address the uproar by Outlook users. However, upkeep of the tool has proved difficult and fragmented as Kies updates often break Outlook integration. The reliability of these tools also vary from device to device and are inconsistent with the Outlook fields they support because every device has different pre-installed PIM apps. The CompanionLink and DejaOffice platform for Android really shines because it works and looks the same across all Android devices and restores reliable Outlook integration that people expect to come with their device. People are free to choose the security of USB connected synchronization or the flexibility of Cloud synchronization through CompanionLink’s secure DejaCloud service, Google or other cloud services. This allows people to customize their experience to their business requirements; something that isn’t possible with solutions like Kies. Marc’s review emotes the frustration millions of Outlook users face when they realize their $300 phone investment doesn’t integrate easily with desktop Outlook. CompanionLink agrees that reliable Outlook synchronization should come in-the-box with your phone purchase. Until then, CompanionLink has a product that millions, like Marc, can use to turn their $300 investment into a productivity tool that works with Outlook. We’ve added the ability to sync pictures to DejaContacts. Now you’ll always be able to attach a face to the name of your next meeting. Due to the way the iPhone handles USB sync, this feature is only available when syncing via WiFi. We’ve redesigned the categories app to make it faster and more reliable. Category colors will now sync from your computer to DejaOffice. If blue equals “Sales” on your PC, it will equal “Sales” in DejaOffice. A small improvement that makes a big difference! The process of adding or editing data has been streamlined. We’ve made use of popovers to allow you to quickly and easily edit categories, times, dates, priorities, contact links, and more. This adds up to a more efficient workflow for you. And who doesn’t want that? Buttons are easier to tap, data loads faster, you can swipe between records from the details view, and the search function has been improved. Not only that, we’ve squashed a number of pesky bugs. Check out the full release notes for a list of what’s been fixed. DejaOffice for iOS gets better with each new release and we’re excited for you to download this latest version! It’s free, and in the App Store today. Let us know what you think in the comments below. 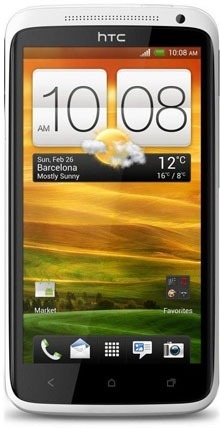 The HTC One X has made its official debut, and it’s earning its fair share of favorable reviews. In fact, it is quickly becoming a top contender for being the best Android smartphone on the market today. The One X features a large 4.7” screen, yet maintains a rather slim profile and, as such, doesn’t feel abnormally large. It’s a good size, overall. The 1280×720 display is also one of the best smartphone displays currently available, making interacting with the device a pleasure. It’s also loaded with a quad-core (or dual-core, if you’re in the US) processor, 1GB of RAM, and 4G LTE. In short, the One X is a big, beautiful, and lighting fast smartphone. No wonder the reviewers love it. Of course, when it comes to syncing the HTC One X with Outlook, or any other personal or professional CRM, look no further than CompanionLink. Our sync solution is primed and ready for the HTC One X. 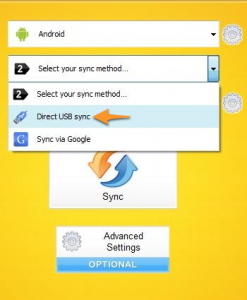 We offer a variety of sync methods, including a revamped USB sync called DejaConnect created specifically with Ice Cream Sandwich in mind. CompanionLink works by syncing Outlook data to our free Android app, DejaOffice. DejaOffice offers powerful, business-class contacts, calendars, tasks, memos, and more, making it ideal for those who need to get work done on the go. And when you’re back at the computer, syncing any changes back to Outlook is quick and easy. For more information on how CompanionLink syncs the HTC One X, visit www.companionlink.com/phones/htc-one.html. And for our friends in the US, we can’t wait for the One X to land here as well! We’ve had our new iPad in the office for a few days now and have put it through its paces with DejaOffice and CompanionLink. I’m happy to report that everything is performing as expected. So don’t hesitate to download DejaOffice and start syncing that new iPad of yours. On a related note, we are in the process of updating DejaOffice to take advantage of the new iPad’s Retina display. Expect a new version with crisp graphics soon! As we put more and more information on our mobile devices, it can become difficult to make sense of what’s there. Let’s face it, the smaller screens just aren’t optimized for displaying large amounts of data very effectively. That’s why we built powerful organization options into DejaOffice. With our filtering, sorting, and grouping features, we’re able to help you make sense of your data. Learn just how to use them in the video below, then leave a comment telling us your favorite combination of filtering, sorting, and grouping. Syncing via USB shouldn’t be complicated. It used to be that you could you could just plug in your phone to the computer and it would automatically start syncing. Somewhere along the way, we lost that standard. Sure, today’s devices can sync with the cloud out of the box. That works well for some, but many of us still need the good, old-fashioned security of a USB sync. With DejaConnect USB, we’re making that sync easier than ever. DejaConnect allows you to simply plug in your device to begin a sync. That’s it. It really can’t get much easier than that. The first sync with DejaConnect mode requires a brief setup. After that, it’s up to you whether it syncs automatically when you plug it in, or only after you press sync. With DejaConnect, sync just happens. You don’t have to think about it, or worry if you’re doing it right. We’ll take care of the heavy lifting and let you focus on what’s important to you. DejaConnect mode is currently in beta and is available in CompanionLink 5 build 5026 and DejaOffice 2.1.5 for Android. Download the updates today (CompanionLink | DejaOffice) to try it out for yourself. And be sure to let us know what you think! DejaOffice makes it easy to protect your private data. With our Private Records feature, you can secure contacts, calendar events, tasks, memos, and even expenses. And it does so selectively, allowing you to secure your most sensitive data while keeping your standard data easily accessible. Download DejaOffice for free from the Amazon Appstore. Install CompanionLink for Google on your computer. This works with DejaOffice to sync Kindle with Google. 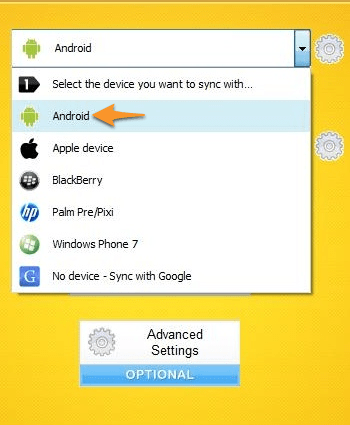 In CompanionLink configuration, select Android as your device. Select Direct USB as your sync method. Select Google as your database from the final drop-down list. Follow the setup wizard in DejaOffice and you’ll be syncing in no time. That’s it! So, whether you are the proud owner of a Kindle Fire today or are hoping to get one soon, rest assured that we’ve got you covered when it comes to syncing your data! CompanionLink for Google comes with a free 14-day trial. When you’re ready to buy, use the affinity code SYNCKINDLE and you’ll pay just $39.95. If you already own CompanionLink 5 for Google, just make sure you have the latest version by checking our updates page. We’ve brought two great new features to DejaCalendar. If you don’t use DejaCalendar to plan weekend events, then our new 5-day week view is for you. 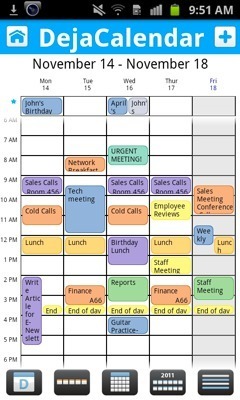 By trimming the weekends, we have more space to display the details of your current work week. We’ve also made rearranging your schedule significantly easier. To move an event to a new date or time, simply tap and hold the event in day or week view, then drag it to your desired date and time. Try it out for yourself – it’s really easy! In addition to the calendar enhancements, we wanted to make adding contacts even easier. So we added the ability to send and receive vCards to DejaContacts. If you haven’t heard of a vCard before, think of it as a digital business card. You can simply email or text your contact information in a format that many contact applications are able to read. Sharing your information or adding contact details for a new client is now fast and easy with vCard support in DejaOffice. The DROID RAZR is now available! We’ve been busy testing ours to ensure complete compatibility with CompanionLink and DejaOffice, and I happy to report that it performs as expected. To sync the DROID RAZR with Outlook (and more), just make sure you’re running the latest version of DejaOffice (1.12.3) and connect the RAZR in “Charge Only” mode. After that, you should be set to sync. If you’re new to CompanionLink and DejaOffice, we have some great resources to help you get started. 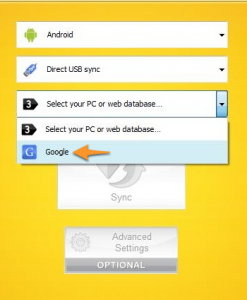 Visit our Getting Started page to learn how to set up a reliable sync. Check out our Android Setup Guides for help configuring our software. And head over to our Support Center if you need more help getting everything up and running. Whether your a seasoned Android pro or are new to the platform, we’re here to help! Now go on and enjoy your sleek new phone!